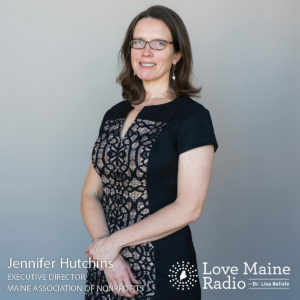 Jennifer Hutchins became the executive director of the Maine Association of Nonprofits in July 2016, where she leads a member network of more than 900 charitable nonprofits and 150 private partners. Prior to joining Maine Association of Non-Profits, she led the city of Portland’s efforts to strengthen the creative economy as executive director of Creative Portland. 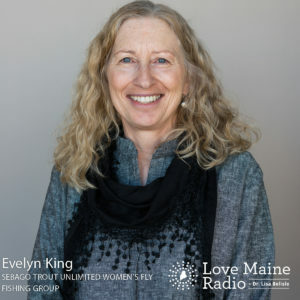 Fly fisher Evelyn King is a founding director of the Sebago Trout Unlimited’s Women’s Fly Fishing Group. 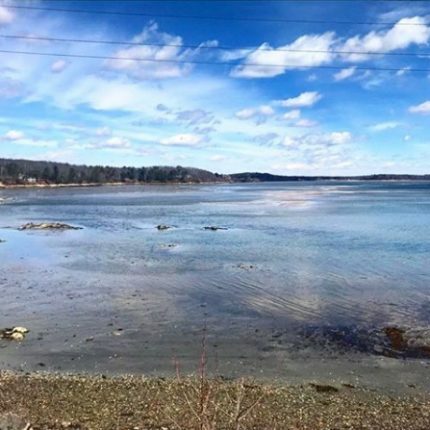 She also serves on Sebago Trout Unlimited’s Board of Directors and volunteers with Casting for Recovery, a fly fishing instructional program for breast cancer survivors.